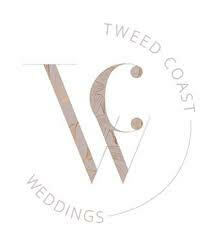 The Gold Coast and Tweed Coast are my most popular ceremony location requests, but I've also shared in celebrations as far away as Uluru NT and Fremantle WA. There is an amazing amount of gorgeous wedding venues, ceremony locations and talented wedding vendors to choose from if you are travelling to the Gold Coast or Tweed Coast, so just ask me and I'll share my favourites. My ceremonies are written to suit your love story and your own personal style. I get asked to officiate weddings with 250+ guests, but I'm equally comfortable celebrating an elopement style ceremony with just the two of you and your witnesses. Let's start one of the biggest days of your lives so far celebrating your love and connection in the best possible way. It's so important to me that we create a relationship based on trust and friendship, so that on your wedding day and in the preparations beforehand - you know that I am there for you both to keep you relaxed and calm from start to finish. You, your support crew and your families are the stars of the day and I'm there to support you and make everything flows along nicely. I always welcome an obligation free meeting before you make the final decision on your celebrant as I know it's a very personal choice.If you'd like to get together, I'd love to hear from you.